Yesterday, I received a question about one of the creative tools listed in my blog, the Fishbone Diagram. I maintain a list of the tools within it for student use. You can use them too. The original reason for my blog was to serve as a resource for my students. As we all know, we forget almost as much as we learn. Being no different, my students lose and forget most of the info I give them in class. When my students get jobs, they often ask for these strategies to meet the pressures of creating ideas every day. Over the next few posts, I’ll discuss different visualization methods for ideation. Yesterday’s question was about the Fishbone Diagram. So I’ll start with that one. There are a slew of reasons to write down your thoughts. To me, the most important reason is that I can’t remember them. If I don’t write down what I’m thinking about, it eventually goes away. Making lists, creating diagrams or jotting words are all ways to help you remember all those great ideas. The added value of having words on a page is that you can compare them. Studies say that if you have more than seven words in your mind, you can’t analyze them; you can only try to keep remembering them. The most widely touted of the word diagrams is probably the mind map. Mind maps are those brainstorming things you’ve seen with words and arrows all over the page. You start with a concept and then fill the page with any words that come to mind. Cloud-like diagrams of related concepts result. Personally, I think “mind map” is a misnomer. They don’t map our minds; they map words. Therefore, I refer to them as word maps. I’ll discuss the benefits and limitations of these in a later post. So, let’s talk Fishbone diagrams. In terms of ideation, they work slightly different from other idea visualization tools. Their focus is more cause and effect, and they work to solve problems. Also called Ishikawa Diagrams after Kaoru Ishikawa, the original creator, they were designed for quality management in shipyards. But they are great for finding solutions to any problem. Fishbone Diagram are used to flesh-out causes. 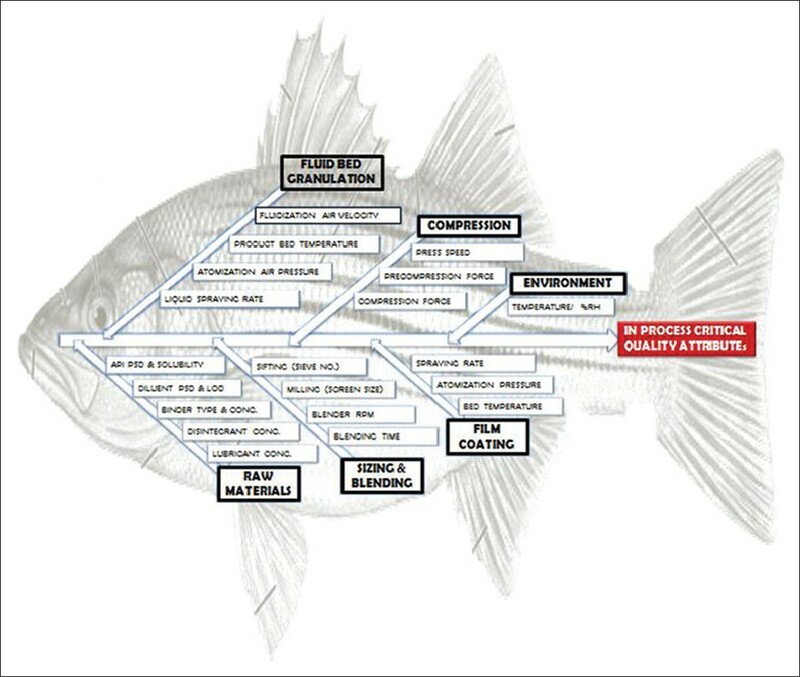 To start one, write problem statement on the right side of this Fishbone Diagram. It looks like the skeleton of a fish. Then, on the top of each rib bone (each major branch) write a major category for a cause of the problem. These can be things like, technology or people. Under each of those, create smaller branches that are reasons “why” those causes exist. The goal here is to keep asking how or why until you dissect the whole thing. In the end, you have a visualization of causal relationships related to the larger problem. After filling in the diagram, analyze the results and you have a much better understanding of why that problem exists. Then you turn it around into solution statements. If the problem is that the widget breaks when kids eat it, design it to be larger than a kid’s mouth. I mostly use Fishbone Diagrams to change the problem at hand. Instead of solving the overall problem that started the diagram, I instruct students to identify smaller problems within the diagram that can be more easily solved. Many times, by solving a few smaller problems, the larger ones go away. If you like this post, please like it, share it or follow the blog. Posted on March 29, 2014 March 29, 2014 by wsthorp	This entry was posted in Creativity, Defining Creativity, Innovation, Inspiration and tagged art, big data, brainstorming, creative strategies, creative thinking, creativity, curiosity, design, idea generation, innovation, invention, motivation, psychology, synthesis, technology. Bookmark the permalink. Thanks for visiting my blog. Good ideas here, always looking to organize my thoughts. All the best to you. I enjoyed your site. Thanks for reciprocating. I’m trying to build a community of people interested in creativity. I’m doing so through a few venues: this blog, Linkedin and Pinterest. My immediate goal is to find out whose out there. Then, I’ll promote my book in the fall or winter. But the long-term goal is to create a forum for conversations about creativity and what it means to be creative in today’s society. I’m planning to include the conversations in the second version of the book. In the process, I’ve found a lot of great resources (like your blog) and people. Please keep in touch and share my blog with others. Thank you for the help. I just went through a few sites related to that and it does seem like the answer. I’ll be checking into it. At this point, I’m not as savvy as I’d like to be. This will definitely help. Please keep in touch.